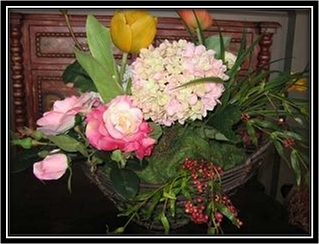 While Supamoss excels as a liner for living plant containers and fresh cut flowers, it is also an excellent choice for silk and dried floral arrangements. "Supamoss can be used just as natural sheet moss or Spanish moss in silk or dried arrangements and garden baskets. Line an open-weave container with Supamoss. Anchor the moss to the styrofoam with pole pins; "bunch up" the moss on top for a natural mounded look. 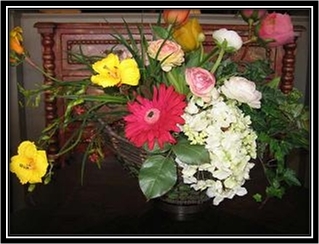 There's no dust or loose moss to spill from the arrangement,"
said Carol Young, Carol Designs, Houston TX.